All my life I have been telling people that I would be a ‘writer’ when I grew up. This golden career would be forged smoothly and decisively, I believed, as soon as I gathered enough life experience to write about. Unfortunately, this ‘gathering’ took a while, especially because valuable nights full of ‘experiences’ were lost from my memory due to my good friend alcohol. Naturally, this meant that I would have to start all over again. So while my friends stuck with their university degrees or apprenticeships and begun to establish careers, I continued to throw caution to the wind with both hands. I jumped around from hospitality job to hospitality job, quitting one and beginning the next when I got bored. I went out every weekend, I bought new clothes, I shot off to Asia by myself for three months before decamping across the country to live on an island in the Whitsundays. While this may not have been the path to a worthwhile career, it was a lot of fun. At some point I woke up and realised that I was 25 years old, earning minimum wage in a café job that I hated and doing absolutely nothing to change that fact. So I quit. Now here I am, penniless, asset-less, barely educated and freewheeling down to 30. No food in the pantry, no fuel in the car, wrapped up in a woollen blanket as I write because I don’t have enough wood to light the fire. But at least I am writing. So, to this blog. I was prepared, when I started this, to be writing into a void. I have read and been told by various sources that writing a blog is a thankless business to begin with, I understood that you might get no traffic to your blog for the first few months. Persistence is the key, blah blah blah. To this end, I actually have one (ahem, three) dead blogs over on BlogSpot, all with a scrappy few posts to their names and less than a handful of views between them. So when I started this one, I had no expectations. Immediately on here, I felt welcomed into this blogging community. Almost before I could believe it, people were commenting and liking my stuff. It was amazing. Me? My stuff? I kept asking. And now another amazing (to me) milestone has been crossed, I have reached the golden 100 followers. To the more experienced bloggers out there, this milestone is probably but a distant memory on your blogging career. But, for a girl who expected maybe 10 views over the course of a month, this is intoxicating. Thankyou all for showing interest, you have no idea how much it means to me. How am I going to link all this drivel to a book review, I hear you ask? Here goes. In my youth, I was Holly Golightly. Not as beautiful, not as thin, not as enticing to the gentlemen callers. But I lived like her, selfish, flighty, irresponsible and irrational, dedicating myself to having a good time no matter what the cost. Now, I am more like Breakfast At Tiffany’s nameless narrator, a struggling writer living life on the outside while desperately wanting to join in. 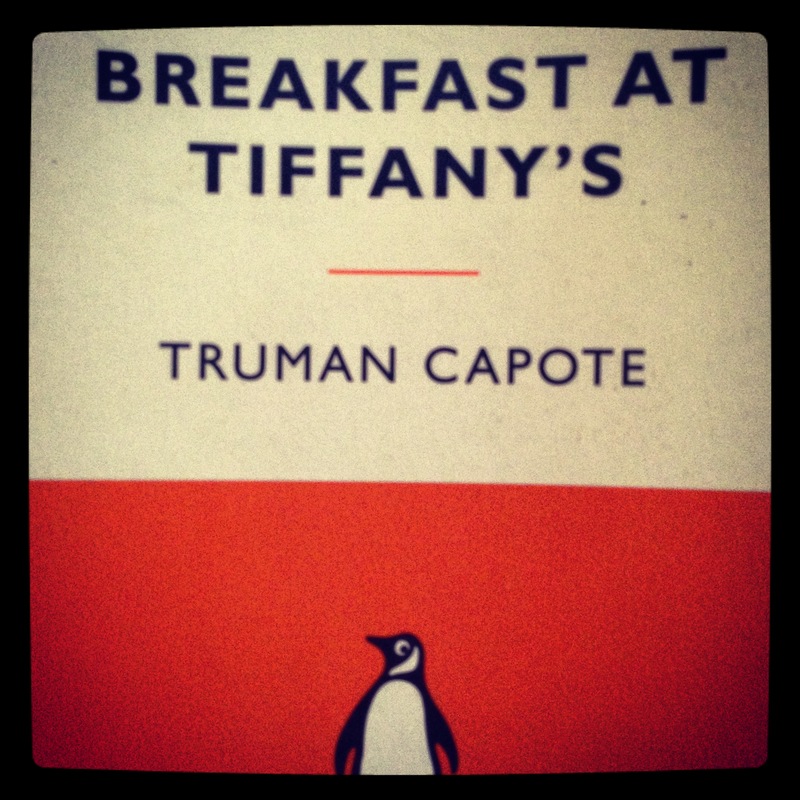 Breakfast At Tiffany’s is Truman Capote at his finest. He is incredible at character development, Holly Golightly is undoubtedly one of the most recognisable fictional characters in literature and on the screen. She is her own creation, her past and her history is nothing but a figment of her own imagination that she presents to others as reality. This novella is our mystery narrator’s account of his time living in the apartment above Holly, a period during which he was swept completely into the confusion and madness of her life. Capote forces us along at a cracking pace, constantly introducing new conflicts and complications yet somehow managing to adequately convey one before moving onto the next. In the space of 100 pages our girl falls in and out of love, changing partners and hats with the same dizzying speed. She fights and makes up with our narrator, she works for a shady underworld character and throws parties rides horses destroys her apartment becomes pregnant gets arrested goes to jail flees the country…..
It’s almost too much to take. This is a book that you can’t not read. It’s a classic for a reason, it demonstrates the depth of character that can be developed in such brief snatches of writing. Holly Golightly is anyone that has ever lived wholeheartedly for themselves, allowing no one in, constructing a glittering façade of perfection to conceal the human flaws beneath. As Holly says, mille tendresses. If you buy the Penguin Classics copy of this beautiful book, (which I know you will), you will receive a lovely surprise. 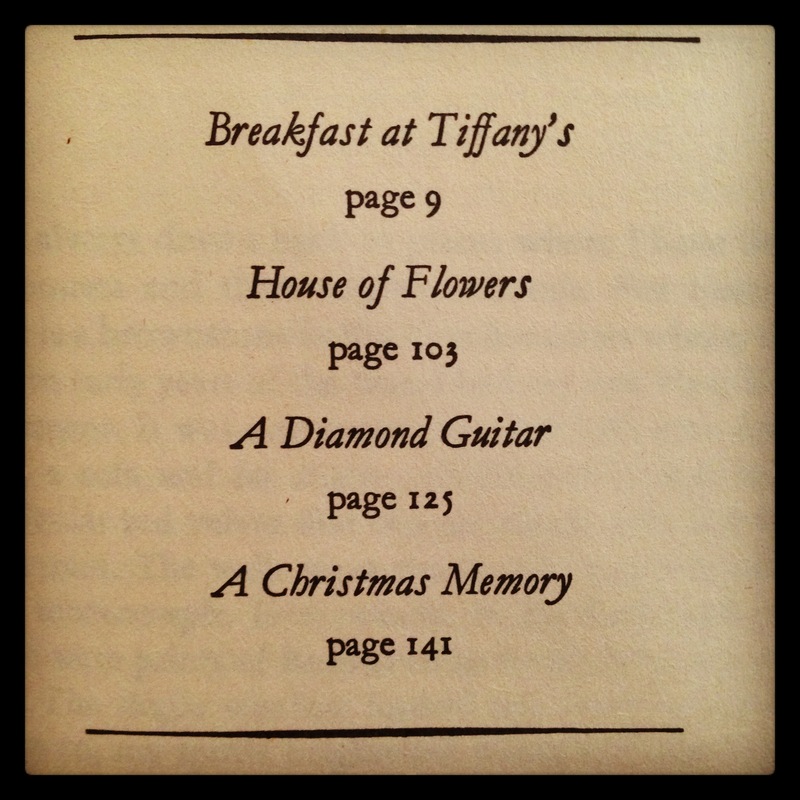 Not only does it contain Breakfast At Tiffany’s, but it also contains three of Capote’s outstanding short stories. You feel as though pepper has been sprinkled on your heart, as though tiny fish are swimming in your veins. The second story, A Diamond Guitar, tells of an old, long-term prisoner on a prison farm, who becomes enchanted by a young new arrival. This delicate tale depicts the awakening of a man long dulled into submission by the monotony of prison life. It ends with their attempt at escape. The third tale, A Christmas Memory, is told from a seven-year-olds point of view. He describes his friendship with his cousin, who is sixty-something. From the boy’s innocent descriptions, we can gather that the elderly cousin is a bit ‘simple’, much like a child herself. Their friendship is heart-warming and comforting to behold, until the harsh intrusions of the outside world sever their ties. All this literary gold for the price of $10.00. This book is absolutely un-put-down-able, which is fine because you can read it in its entirety in one sitting. 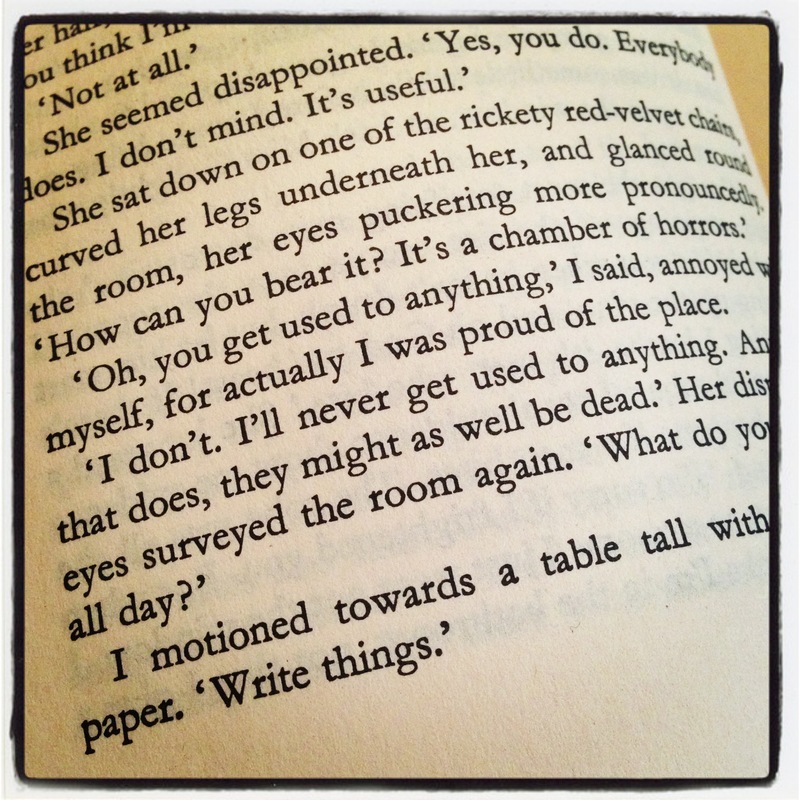 ‘But you can’t give your heart to a wild thing: the more you do, the stronger they get. If you let yourself love a wild thing. You’ll end up looking at the sky.’ – Holly Golightly. Audrey Hepburn as Holly Golightly. Okay, so my first thing is, how could someone not like and comment on your posts? They are really wonderful. I expect any day now for you to pop in and tell us that you’ve landed a wonderful gig writing, wave us goodbye, and there it is. Second, as someone who recently passed that magical 100, all I can say is, yay! Thanks as always for your flattering and encouraging comments! Awesome! So glad you’re enjoying it, what a great read. Haha I can only dream 🙂 Thankyou for stopping by and for such a lovely comment! The slow burn of blogging is true in my experience. Finding a balance between just enough and too much is tricky. Finding the right audience is even tougher. I don’t get lots of daily views even though I have plenty of Followers. But the ones that do view and comment keep me going. Most of them are accomplished bloggers in their own right and the fact that they take thew time to read me is a compliment I truly appreciate. You are extremely readable and you tackle works that are familiar enough to us in some ways but perhaps not with the insights you offer. 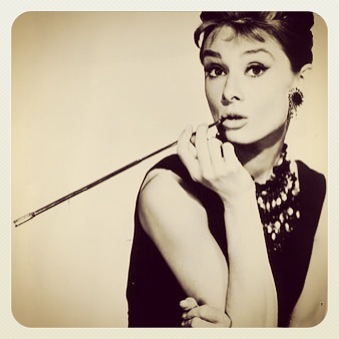 I have never read Breakfast at Tiffany’s but I have watched the film many times. Just for the adorable Audrey. Now I want to read it. That’s why your blog works and attracts people. As to age, 30 is nothing. Many people I know didn’t start working until almost 30. They were permanently taking further education. For some it paid financially, for some it didn’t. it depends on your life goals. Most of us learn too late that our work and life ambitions don’t fit easily together. I was 54 when I worked that out and quit my job. You certainly have talent. It is often a matter of luck whether that converts into financial reward. I suspect that your 100 followers will translate into 200 or more pretty swiftly. Good luck! Thankyou as always Andrew for your kind words of encouragement! Previous PostIt needs a lot of love.